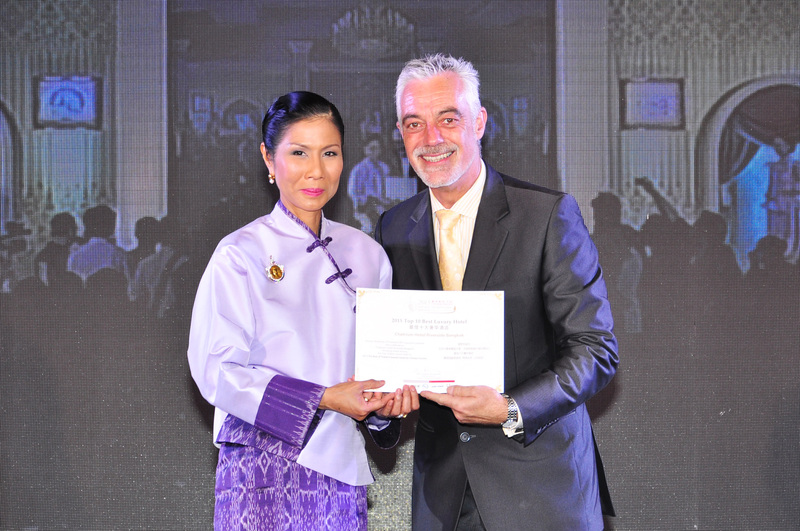 Mr. Adrian Brown (right), General Manager of Chatrium Hotel Riverside Bangkok, received a certificate confirming the hotel as one of The Top 10 Best Luxury Hotels of 2015 from Minister of Tourism and Sport, H.E. Mrs. Kobkarn Suriyasat Wattanavrangkul. 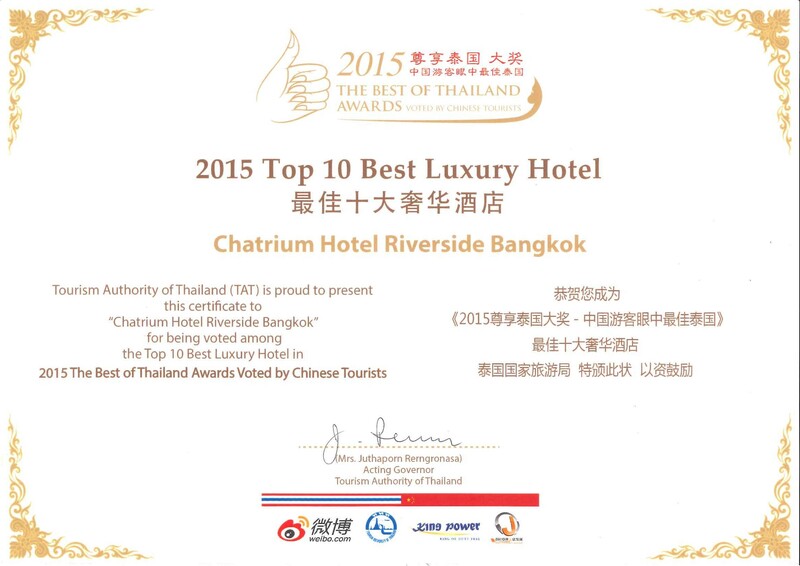 Chatrium Hotel Riverside Bangkok was voted among the Top 10 Best Luxury Hotels by Chinese tourists. Tourism Authority of Thailand (TAT), King Power International, SINA Hong Kong, and Jiaranai Entertainment joined hands to organize this campaign. Previous PostPrevious Time to Expose Who Creates the Heavenly Dishes at Chatrium Hotel Riverside Bangkok!